My wife (June) and I (From Singapore) would like the team to pray for us. My wife is unable to conceive naturally due to her lost of her womb. However we would like to have a small family. We would like to adopt a baby from Malaysia and will need to have a favorable home study report from MSF to proceed. We prayed that the whole process will be successful. Please pray for God's timing, patience, divine wisdom, undeserved preferential favor, blessing, provision, financial and peace. 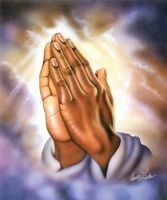 If God is willing, we pray that we can get the favorable report by this week; yet not our will, but God's will be done. We pray that God will open the door this time and let us have a small family. We are now advancing in years and we really do need God's Help. We Trust God is able to do far more abundantly beyond all that we ask or think, according to the power that works within us.Ephesians 3:20-21. We surrender the HSR onto the Lords's Hand and may HIS will be done.